Naramata BC, Canada is located on the southeast shore of Okanagan Lake in what is called the Okanagan–Similkameen Region. This region is referred to as the Naramata Bench - home to many quality Okanagan Valley vineyards, wineries and fruit orchards. Activities most enjoyed in Naramata in the Okanagan Valley and the surrounding areas include wine touring, hiking, mountain biking, cycling, ATVing, windsurfing, kayaking, SUP, boating, sailing, kite boarding, swimming, scuba diving, rock climbing, boating, kayaking, fishing. and snowmobiling, snowshoeing, ice fishing and xc skiing. 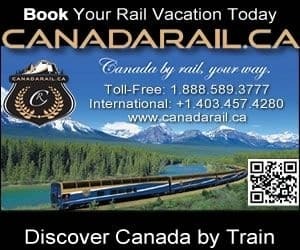 A few of the more popular activity and sightseeing park and trail destinations located in Naramata, British Columbia and the surrounding areas includes the Kettle Valley Rail Trail (KVR), Rock Oven Park, Wharf Park, Manitou Park, Chute Lake, Okanagan Lake, Okanagan Mountain Provincial Park, 3 Mile Beach, Skaha Bluffs, and the Apex Resort. The most visited sightseeing attractions, art galleries, historical sites and cultural venues in and around Naramata, British Columbia include the 1914 SS Naramata, Mural Walk, and the Naramata Heritage Museum. Travel services important to travelers in and around the community of Naramata, BC includes accommodations (hotel, motel, inns, vacation homes, cottages, resorts, lodges, bed and breakfast, rental suites, hostels), tours, guides, campgrounds, pubs, restaurants, laundromat, gas stations, gift stores, liquor stores, grocery stores, wineries, breweries, coffee shops, cell service, internet, banks and transportation services including taxi, bus, marina and the Kelowna International Airport. Explore Naramata, Okanagan Valley, Canada Travel Guide for Accommodations, Attractions and Adventure. eh! Plan to Visit Naramata, BC, Canada today.